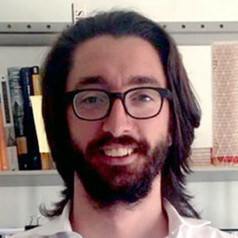 Dario Trabucco, architect and PhD, is a CTBUH Research Manager and researcher at the IUAV University of Venice, Italy. He is involved in teaching and research activities related to tall buildings, including the LCA analysis of tall buildings, service core design and issues pertaining the renovation/refurbishment of tall buildings. In 2009 he obtained a PhD in building technology with a thesis entitled “The Strategic Role of the Service Core in the Energy Balance of a Tall Building.” This research examines the implications of alternative service core placement in relation to the embodied energy and the energy consumption of a tall building. From 2010 he is CTBUH Country Representative for Italy and Co-chair (with Philip Oldfield) of the CTBUH Research Academic and Postgraduate Working Group. From March 2013 to February 2014 Dario was a research associate at the Illinois Institute of Technology / Council on Tall Buildings and Urban Habitat primarily working on the funded research project “A Whole Life Cycle Assessment of the Sustainable Aspects of Structural Systems in Tall Buildings," thanks to an Exchange period from his university in Italy. Upon return to Venice, he acquired the role of CTBUH Research Manager for CTBUH, formally establishing the CTBUH Research Office in Venice. Since then, he has been the Principal Investigator for the two sponsor-funded research undertaken by CTBUH "A study on the architectural and engineering properties of Composite Megacolumns” sponsored by ArcelorMittal and "A Study on the Damping Technologies Available for Tall Buildings: Comfort and Safety” Supported by Bouygues Construction, as well as the initiator of other research activities promoted by CTBUH. He is also overseeing the CTBUH operations in Europe, with the aim to reinforce the Council's presence in the various Countries of the EU. He currently publishes in national and international periodicals and peer-reviewed journals and regularly takes part at conferences on tall building-related topics.